Is your Internet marketing team or SEO services provider just being brought on board after a website redesign project? 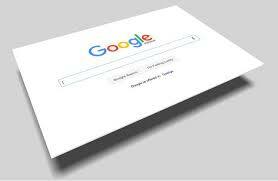 You may have just made a very big mistake, one that may jeopardize your historic rankings in search engine pages. If you haven’t made your new web design live yet, you may still have the opportunity to save your historic SEO rankings. There are some key elements you’ll want to consider, to be most efficient, and save you the time and costs of having to redo these elements all over again. Assuming both your domain name and hosting provider remain the same, the first SEO factor you will want to ensure are looked at before going live with the new website is site architecture. Does the new site provide multiple ways to get to different pages on your website? Having links in the navigation, sitemap, body text and footer ensure the search engines crawlers can find your content through various avenues. Ensure the new site has both an HTML and XML sitemap. A sitemap helps to inform your visitors if they cannot find the content they are looking for. XML sitemaps help the search engines find of all the important pages on your website which they need to index. For more information about XML sitemaps you can visit sitemaps.org.